The first ever Call of Duty World League event takes place this weekend, with the Call of Duty World League Pro Division Qualifying Invitational Tournament. There are three separate LAN events taking place: one in California for the North American Qualifiers, one in Germany for the European Qualifiers, and one in Australia for the Australia/New Zealand Qualifiers. 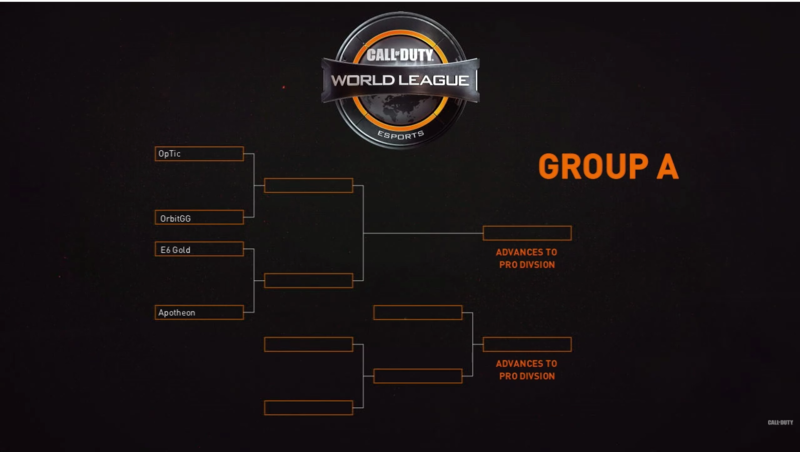 Out of all the Groups listed above, the top two teams in each group following Group Play will secure a spot in the first season of the Call of Duty World League Pro Division. From this event, 8 teams total will earn a spot in the North America Pro Division. 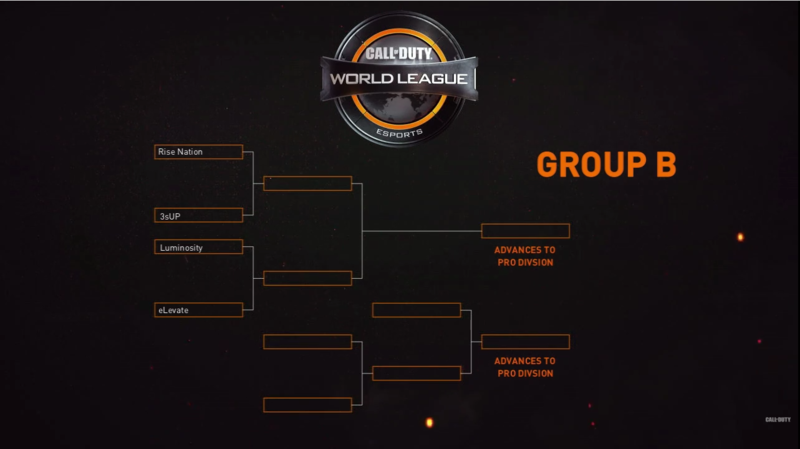 Out of all the Groups listed above, the top two teams in each group following Group Play will secure a spot in the first season of the Call of Duty World League Pro Division. 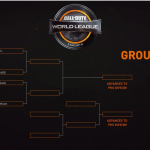 From this event, 4 teams total will earn a spot in the Europe Pro Division. Out of all the Groups listed above, the top two teams in each group following Group Play will secure a spot in the first season of the Call of Duty World League Pro Division. From this event, 4 teams total will earn a spot in the Australia/New Zealand Pro Division. To checkout the rosters for all of the teams, visit our post here. Update Dec. 3rd: Activision has officially released the start times by region for the World League Pro Division Qualifying Event. 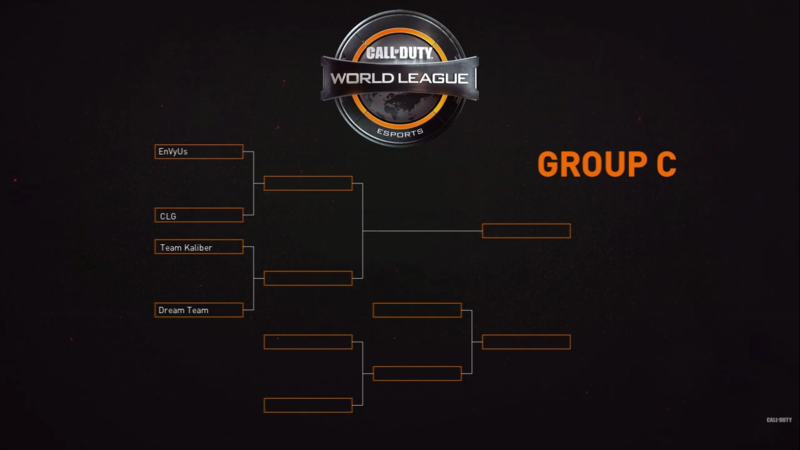 All of the matches this weekend can be viewed LIVE on Call of Duty’s Twitch page. North America stream will be live on Alpha channel; Europe stream will be live on Bravo; Australia/New Zealand will be live on Charlie channel. 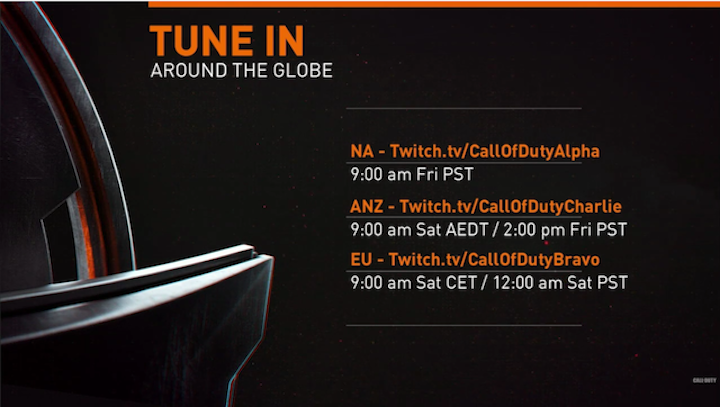 For the first Call of Duty: Black Ops 3 World League Event, checkout the rule set for this event here. Teams will compete in best of 5 matches. Once a team qualifies for the Pro Division, they are finished playing at the event. Remaining teams will continue to battle it out for the remaining spots in the Stage 1 of the Pro Division. For teams that were not invited to this event, or teams that failed to qualify at this event, Activision and ESL are hosting online qualifiers for the remaining sports in the Season 1 of the Pro Division. More information on registration and when the online qualifiers take place has yet to be announced. The Pro Division Stage 1 will officially kick off in January. Teams that cannot qualify for the Pro Division can participate in the World League’s Challenge Division. More information on the Challenge Division, including events and partners, has yet to be announced. Follow us on Twitter for live coverage of all the Call of Duty World League Events.